The Government of India has issued a notification that foreign nationals will be exempt from the requirement to apply for the Identification (Aadhaar) Card, expected to take effect July 1, 2017. Foreign nationals can continue using their Permanent Account Number Cards only to file their income tax returns. The Government of India has issued a notification that foreign nationals will be exempt from the requirement to apply for the Identification (Aadhaar) Card, expected to take effect July 1, 2017. Foreign nationals can continue using their Permanent Account Number (PAN) Cards only to file their income tax returns. Previously, the authorities issued a forthcoming requirement that all foreign nationals residing in India for 182 days or more in the preceding year, as well as those who have left India permanently with pending tax filing obligations, must apply for the Aadhaar Card. Individuals of the age of 80 years or more at any time during the previous year. Foreign nationals can continue using their PAN Cards only to file their income tax returns. They will not be required to apply for Aadhaar Cards. We worked closely with Fragomen Immigration Services India (Pvt.) Limited ("Fragomen-India") to prepare this alert. It is for informational purposes only. 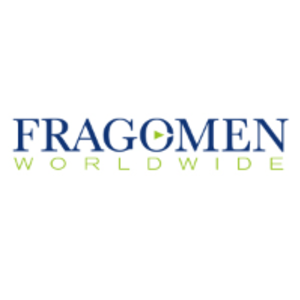 If you have any questions, please do not hesitate to contact the global immigration professional with whom you work at Fragomen Worldwide or send an email to IndiaQueries_NewPolicy@fragomen.com. Thanks for sharing information, Aadhaar is a unique Identification number issued by UIDAI to individuals for the purpose of establishing the unique identification of every single person.